What tire pressure should I run in my fat bike tires? Generally, the softer the trail, the lower the pressure, and vice versa. If you’re breaking through the trail surface and leaving ruts or losing traction, let some air out of your tire(s). For dry snow with no moisture or wet snow in above freezing temps, 1-4 PSI is a good range. If you’re riding a hard-packed trail with temps consistently below freezing and you’re not breaking through the trail surface, 6-8 PSI is a good range. These recommended pressures depend on your weight and tire volume. Adjust accordingly. And invest in a low-pressure tire gauge that will give you accurate readings. Most bike pump gauges are not accurate at pressures below 20 or 30 PSI. We recommend using a low-pressure gauge for measuring pressures below 15 PSI. However, be aware that some manufacturers recommend 5 PSI as a minimum tire pressure. Many people choose to go below that minimum pressure when conditions merit it, but be aware that riding a tire at extremely low pressure is hard on the sidewalls and could lead to premature tire failure. More generally, if your steering feels sluggish, add some air to the front tire. If your bike is bouncing too much from your pedalling action, add some air. Although it takes many pump strokes to get a fat bike tire up to pressure, it takes only a few pump strokes to move from 5 to 6 PSI, so don’t be afraid to experiment on the trail. It’s amazing how much difference five or 10 pump strokes can make, or just a second or two of air discharge. Pressures up to 10 or 12 PSI, or even higher, can be used on forest roads. Note that 5-inch tires are harder than 4-inch tires at any given air pressure, so you should generally run a lower pressure with a bigger tire. 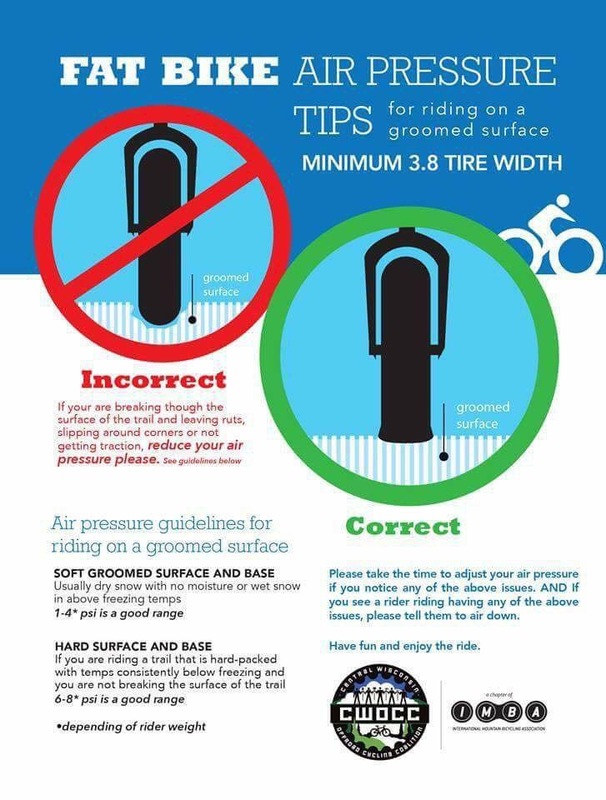 You should also be aware that the tire pressure will drop 1 to 3 PSI if you inflate it in a warm place and then go outside to ride in the cold. 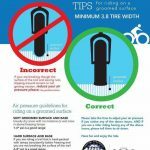 Is there a minimum tire width for groomed bike trails? 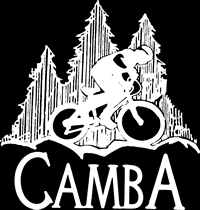 CAMBA recommends riding at least 3.5-inch tires on groomed trails. Although the trails are sometimes firm enough for narrower tires, such conditions are rare during a normal winter. Larger riders should run minimum 4.5-inch tires. Should I ride on a freshly groomed trail? No, freshly groomed trails are almost always too soft for riding. They need time to harden, or “set up.” The time required for a trail to set up depends on several variables, such as temperature and humidity, but it always requires a period of falling temperatures. If you ride on a trail before it sets up, you will leave deep ruts in the trail, and when the trail finally does set up your rut will be there until the next grooming, so that every rider after you will have to contend with your rut. Not cool. Please check the Trail Conditions page for current trail conditions. How do you groom your trails? Initially, all CAMBA trails were groomed by volunteers but we now pay the groomers. Some use their own equipment. Others use CAMBA-owned equipment. Most trails are groomed with a snowmobile pulling one of several implements designed to get the air out of the snow and compact it evenly. Tight, twisty single track requires something narrower and more maneuverable to pull the grooming implements, such as the two-wheel-drive Rokon brand motorcycle. Our groomers use several grooming implements, depending on conditions, including implements from Wildcat Groomers, Yellowstone Track Systems and Tidd Tech. May I walk on groomed CAMBA trails? Yes, you can walk on groomed trails, but PLEASE wear snowshoes when you do. Walking on groomed winter bike trails without snowshoes damages the groomed trail surface (just like walking on a groomed ski trail would) and diminishes the user experience for cyclists. If you find yourself walking up a hill while riding your bike, please be courteous and keep your footprints to the side of the trail. 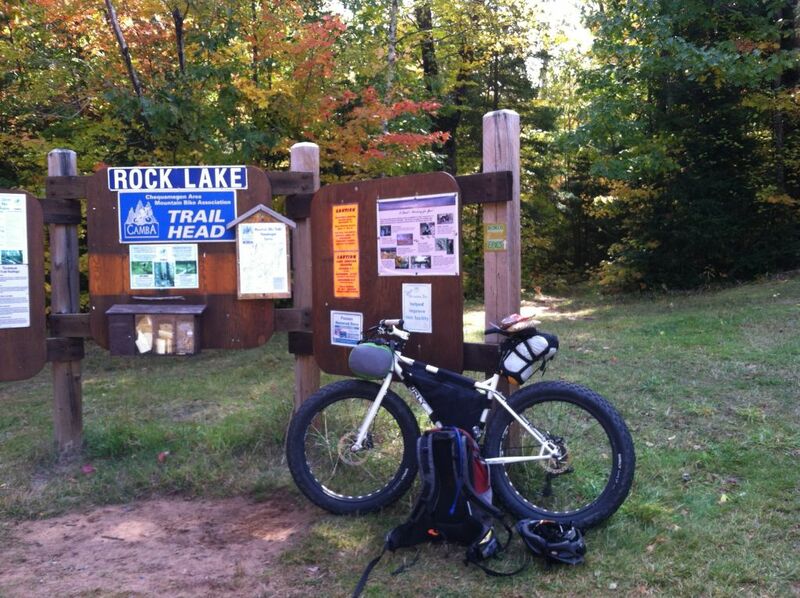 May I ride on any area ski trails? At this time, only two area ski trails are open to fat bikes. The Town of Hayward Recreational Forest allows fat bikes on the groomed ski trails on Wednesday nights on a trial basis. The National Forest Service has opened up some of the trails at the Valhalla Recreation Area to fat bikes on a trial basis (although that fact is not yet reported on the website). Note that bikes require a firmer trail than skiers require, so ski trails are not always groomed firmly enough to accommodate a bike. It is not uncommon to have to lower a fat bike’s tire pressure to 3 or 4 PSI to be able to ride a ski trail without breaking through. Two CAMBA Trails currently use a few short sections of ski trail near trailheads, or to link separate sections of groomed bike trails. Please ride on the edge of these trails where the bike groomer has gone. Two other CAMBA Trails have extensive shared use sections. Again, please stay on the side of the trail designated for bikes and do not ride on the skiing lane. May I ride on area snowmobile trails? No, you should not ride on groomed snowmobile trails. A Bayfield County ordinance prohibits the use of bikes on groomed snowmobile trails. Sawyer County allows bicycles on groomed snowmobile trails, but CAMBA does not condone it due to safety issues. Also, be aware that many snowmobile trails cross private property pursuant to a contract between the local snowmobile club and the landowner that allows snowmobiling but not other uses, such as cycling. Cycling on such trails without express permission could be considered trespass. If you do choose to ride on a permissible snowmobile trail, please use bright flashing lights front and rear and yield to any snowmobilers you encounter. May I ride on area snowmobile routes? Yes, because a snowmobile route is not the same as a snowmobile trail. A route is a public road on which snowmobiles are specifically allowed to operate along with other vehicles as well as pedestrians. All of the normal rules of the road apply. I don’t think I have the skills to ride groomed single track. What other riding options do you have? Riding any trail is more difficult when it is covered by snow. CAMBA currently grooms three wider trails: the Big Easy at the Highway OO Trailhead; the Cable Town Trails behind the Cable Community Center; and the Hayward Hospital Gateway Trail at the northwest corner of the Essentia Clinic parking lot. Plowed forest roads also provide some very good riding. How should I dress for winter riding? Generally, you should dress similarly to how you would dress for cross country skiing, although you might want warmer neckwear, gloves and boots. Wear wicking fabrics next to your skin and several breathable layers above that. Take care not to overdress – you want to minimize or eliminate perspiration. Windproof and waterproof fabrics are generally not recommended because they can trap moisture that will cause you to become cold after an hour or so of riding. Consider packing a windproof layer for emergency use only.